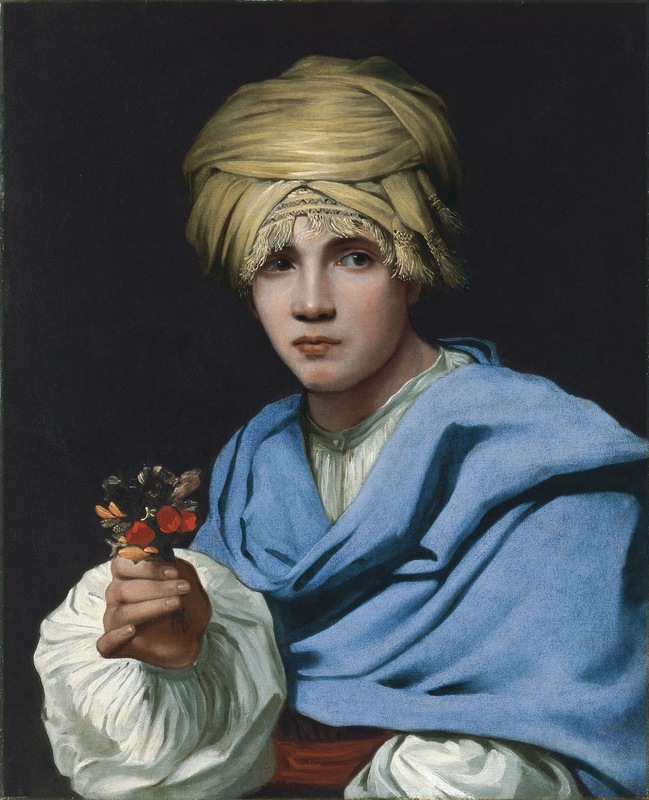 Title: Boy in a Turban Holding a Nosegay. Author: Michiel Sweerts [Flemish Baroque Era painter, 1618-1664]. Date: ca. 1658 - 1661. Dimensions: 76.4 x 61.8 cm. Current location: Museo Thyssen-Bornemisza (Madrid, Spain). 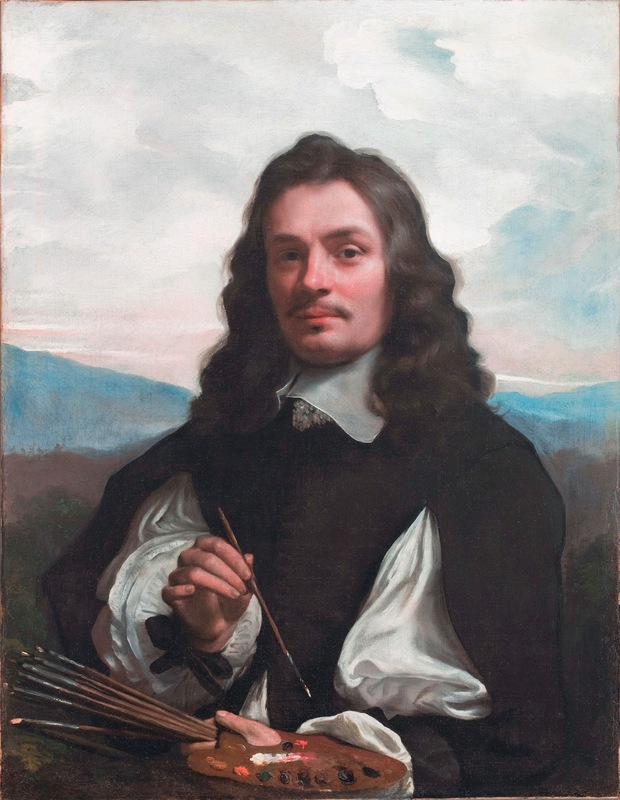 In addition to painting scenes of street life with picturesque characters inspired by his years in Rome, Sweerts also produced a few portraits as well as a series of half-length and bust-length elderly and young men and boys. These figures are depicted against a plain, dark background with the head turned to one side and the light entering from the left. Among the finest examples is Boy in a Hat in the Wadsworth Atheneum, Hartford. The present canvas does not form part of that series but the treatment of the light and modelling derives from the artist’s experience in Italy. The canvas was first published and made known to the wider public when it was included in the exhibition entitled Artists in Seventeenth-century Rome held in London in 1955. At that point it was catalogued as a work by Sweerts and has been considered one of his most attractive works since that date. It was previously attributed to Francesco de Rosa, according to a label on the reverse. In the 20th century the painting first reappeared in Rome in 1955 in the collection of Andrea Burisi Vici, and Gaskell has suggested that it may have been in the Barberini collection, a proposal based on the style of the frame, which is typical of that collection, and the remains of an old inventory label on the reverse. However, Gaskell was unable to associate the painting with any work in 17th-century inventories of that collection. After it was auctioned in London and passed through two private collections it was acquired for the Thyssen-Bornemisza collection in 1981. The fact that the boy is holding a nosegay has led to the suggestion that this is a representation of the sense of Smell. Sweerts executed two, now dispersed, series on the Five Senses. In one series, which uses a similar format to the present painting, five male figures in exotic dress hold objects and animals related to the senses. In the second series, which is smaller and now incomplete, young boys symbolise the senses through a snuffed-out candle, a musical score and a finger bandaged to protect a small wound. No other work by Sweerts or attributed to him can be associated with the present canvas and thus indicate the existence of a third series. However, objects such as flowers, sweet-smelling vegetables and other scented materials were traditionally used in art to evoke the sense of smell. On the other hand, it has been suggested that the nosegay is simply a decorative element in the painting. 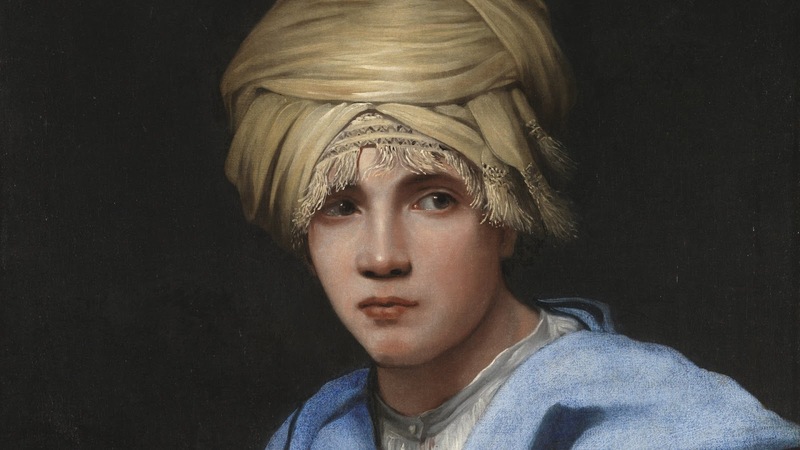 Titolo: Ragazzo con turbante e mazzolino di fiori. Genere: Pittura olio su tela. Dimensioni: 76.4 x 61.8 cm. Dimensioni con cornice: 117 x 104 x 14 cm.